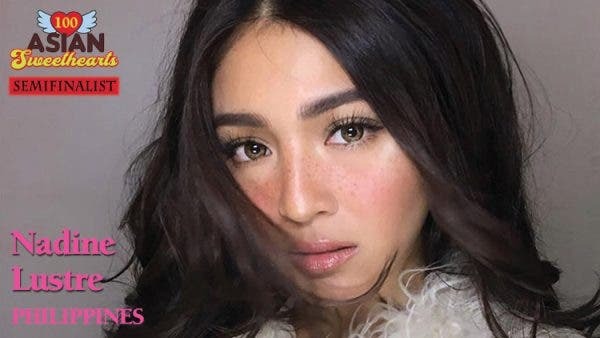 Congratulations Nadine Lustre of the Philippines for making it through the semifinals of 100 Asian Sweethearts by winning the judges’ vote in Group 4. The 24-year-old star of “On the Wings of Love” and “Till I Met You” will advance in our Top 30 poll which is happening this August so please stay tuned. For the meantime, please vote for the remaining nominees in group 5 to 14 HERE. @michael aragon – its by group po. group 5 po si maine. at group 4 po si nadz. minsan basa basa muna bgo mag bitter. napghahalata lng. You deserve it teh nadz. we’ll do the best in our power to make NADINE win. Luto. 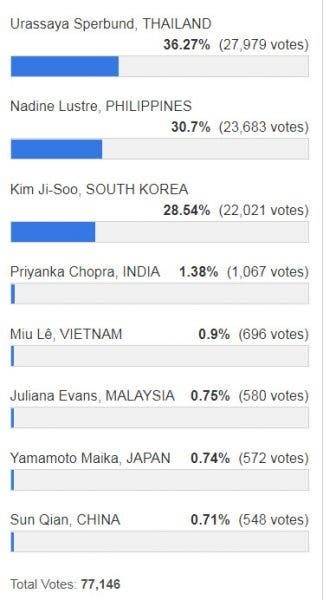 Bakit hindi nakapasok si Maine Mendoza,ang dami niyang online votes. LUTONG MAKAW.